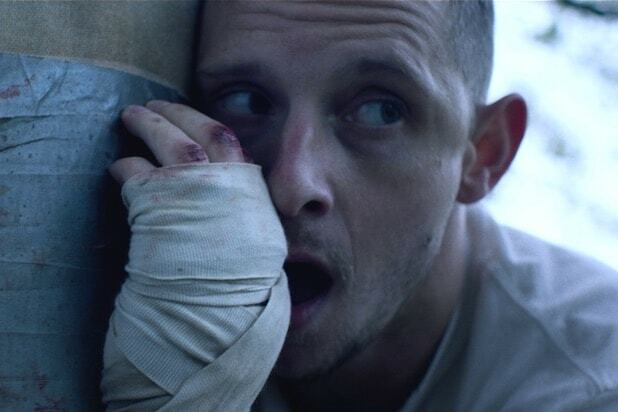 IFC Films has acquired the North American rights to Jamie Bell’s drama “Donnybrook,” an individual with knowledge of the deal told TheWrap. Frank Grillo, Margaret Qualley and James Badge Dale also star in the film directed by Tim Sutton, based on the novel by Frank Brill. The drama premiered at the Toronto International Film Festival in the Platform Competition. IFC plans a theatrical release for “Donnybrook” in 2019. David Lancaster and Stephanie Wilcox from Rumble Films produced, while Joel Thibout, David Atlan-Jackson, Jean-Baptiste Babin, Andrew Schwartzberg and Jon Shiffman executive produced. Bell stars as a former marine struggling with his financial situations, until he enters a bare-knuckle fighting contest where the grand prize is $100,000. The deal was negotiated by IFC Films EVP of Acquisitions and Production Arianna Bocco and UTA Independent Film Group. Bell’s other film, “Skin,” was acquired by A24 and DirecTV. The film also had its world premiere during the Toronto Film Festival over the weekend. “Skin” will also hit theaters in 2019. Elle Fanning, Clara Rugaard, Zlatko Buric and director Max Minghella, "Teen Spirit"
Alexander Skarsgård, "Hold the Dark"
Mia Goth, Robert Pattinson and director Claire Denis, "High Life"
Maggie Gyllenhaal and Gael Garcia Bernal, "Kindergarten Teacher"
Director Alonso Ruizpalacios and Gael Garcia Bernal, "Museo"
Brian Tyree Henry, Liam Neeson, Colin Farrell and Daniel Kaluuya, "Widows"
Kyle MacLachlan and Maria Bello, "Giant Little Ones"
Radhika Apte and Dev Patel, "The Wedding Guest"
Sebastian Stan, Nicole Kidman, Tatiana Maslany and Karyn Kusama, "Destroyer"
Paul Dano and Carey Mulligan, "Wildife"
Emilio Estevez, Jena Malone, Christian Slater, and Michaek K. Williams, "The Public"
Michael Kenneth Williams, "The Public"
Director Jason Reitman, Matt Bai and Jay Carson, "The Frontrunner"
Adam Stein, Lexy Kolker and Zach Lipovsky, "Freaks"
Garrard Conley and Joel Edgerton, "Boy Erased"
Jason Sudeikis, Judy Greer, Lee Pace, Nick Hamm and Isabel Arraiza, "Driven"
Lily Rose Depp, "A Faithful Man"
Lily Rose Depp, Louis Garrel and Laetita Casta, "A Faithful Man"
Laetitia Casta, "A Faithful Man"
Laetita Casta and Lily Rose Depp, "A Faithful Man"
Sienna Miller, Jake Scott, Will Sasso, Aaron Paul and Christina Hendricks, "American Woman"
Alexis Bloom, "Divide and Conquer The Story of Roger Ailes"
Taylor Hickson, "Giant Little Ones"
Darren Mann, Josh Wiggins, and Taylor Hickson, "Giant Little Ones"
Darren Mann, "Giant Little Ones"
Florian Henckel von Donnersmarck, "Never Look Away"
Nicole Taylor and Jessie Buckley, "Wild Rose"
Josh Wiggins, "Giant Little Ones"
Louis Garrel, "A Faithful Man"
Sebastian Koch, "Never Look Away"
Thomas Mann, "The Land of Steady Habits"
Thomas Mann, Nicole Holofcener and Ben Mendelsohn, "The Land of Steady Habits"
Tom Schilling, "Never Look Away"
Paul Greengrass, Åsne Seierstad, Jonas Strand Gravli, Seda Wit, and Jon Øigarden, "22 July"
Damien Chazelle, Linus Sandgren, Ai-Ling Lee, Tom Cross, and Josh Singer, "First Man"
Jeffrey Wright, "Hold the Dark"
Victor Polster, Lukas Dhont, and Arieh Worthalter, "Girl"
Victor Polster and Arieh Worthalter, "Girl"
Paul Greengrass, Strand Gravli, Jon Oigarden, Seda Wit, and Asne Seierstad, "22 July"
Roddy Doyle and Paddy Breathnach, "Rosie"
Felix Van Groeningen, "Beautiful Boy"
Jason Reitman, "The Front Runner"
All the latest doings from the Toronto International Film Festival.